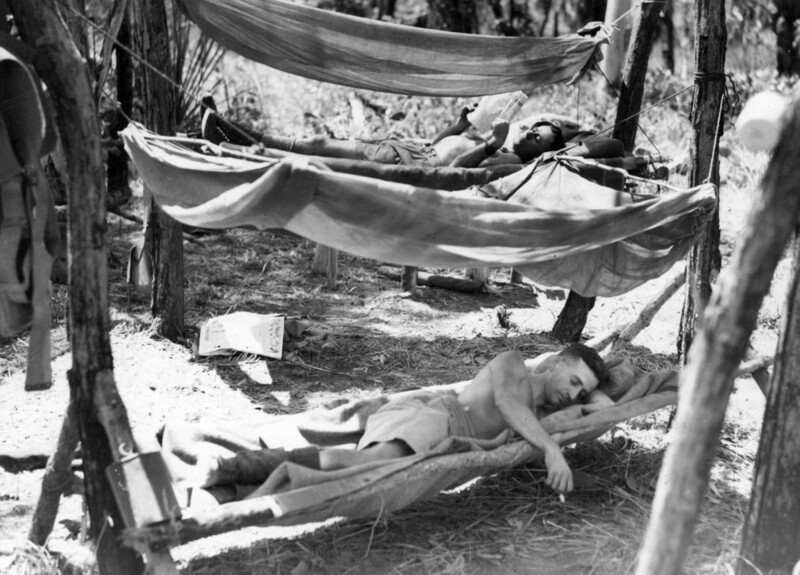 Men of a Field Ambulance unit resting in the NT scrub. Note canteen in foreground. Ref: Argus Newspaper Collection of Photographs, State Library of Victoria. 38 Mile is located in the Acacia Hills region and was the home of the 2/12 Field Ambulance (AIF) (Unit colour patch at left) and units of the 2/13 Field Ambulance (AIF) (unknown unit patch). I am unsure as to where the name “Bunker Hill” came from, however, it may have originated from the US 49th Fighter Group whose HQ I believe was located close to this site. Bunker Hill was of course the location of the famous battle of the American war of independence in 1775. Many concrete foundations can be found on top of the hill and it is believed that these are those that once belonged to the officers/sergeants. The buildings/tent sites of the Other Ranks extend down the slopes of the hill facing the Stuart Highway. Site Remains are extensive and include many tent and building foundations, vehicle maintenance pits, rifle range butts, slit trenches, cooking areas, laundry facilities, toilet, shower and ablution areas. Stone terrace for a building site. 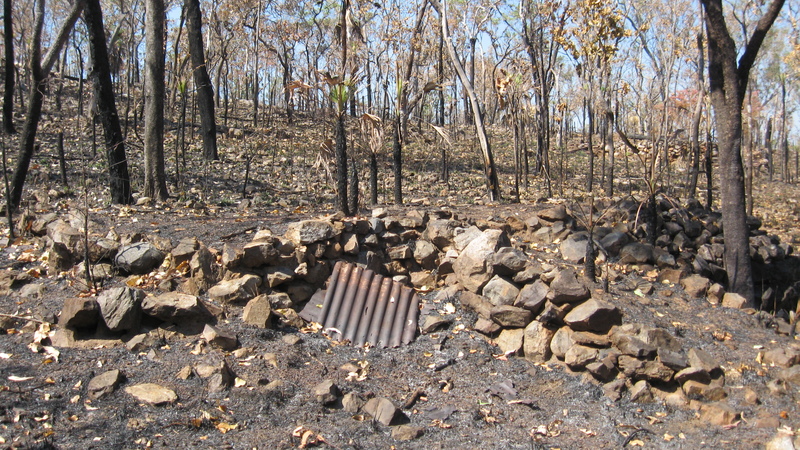 Some of the corrugated iron roofing material still remains at the site. A ramp constructed of stone leading up to the top of the foundation. 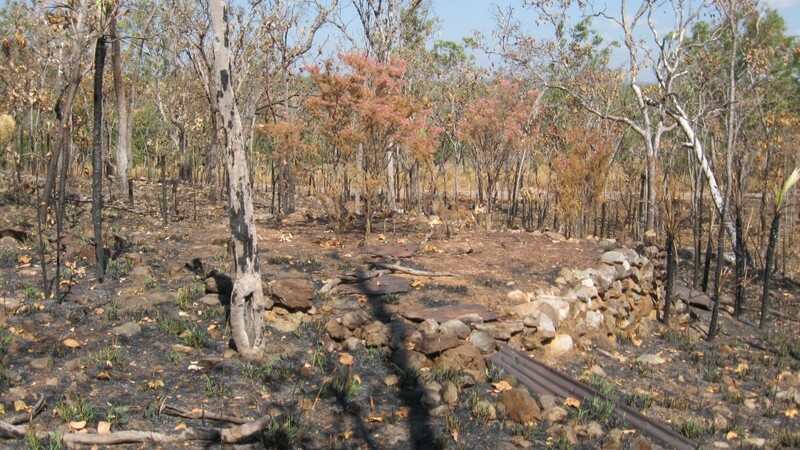 The building foundations are mainly ‘wet weather’ huts constructed from locally made stone which is in abundance at this site. (Stone is so abundant at this site that there is a local quarry located nearby). Most foundations at this site are made of stone and quite a reasonable amount of effort has been expended in order to make the foundations level. 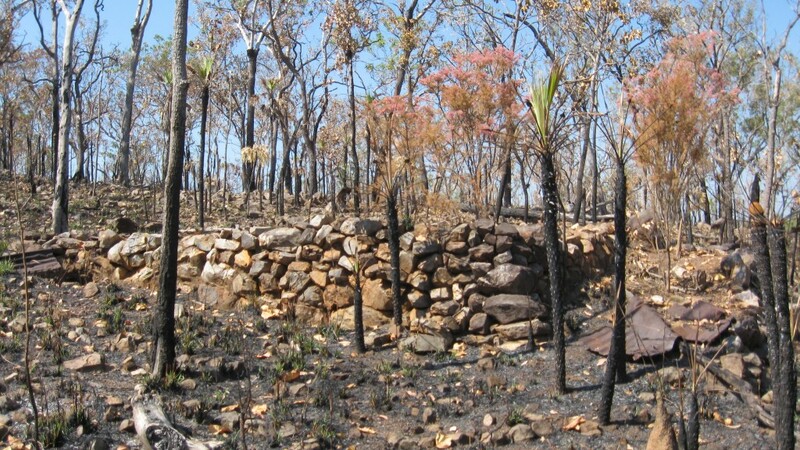 These buildings would have made use of local timber and many tree stumps on the outskirts of the site attest to this fact. 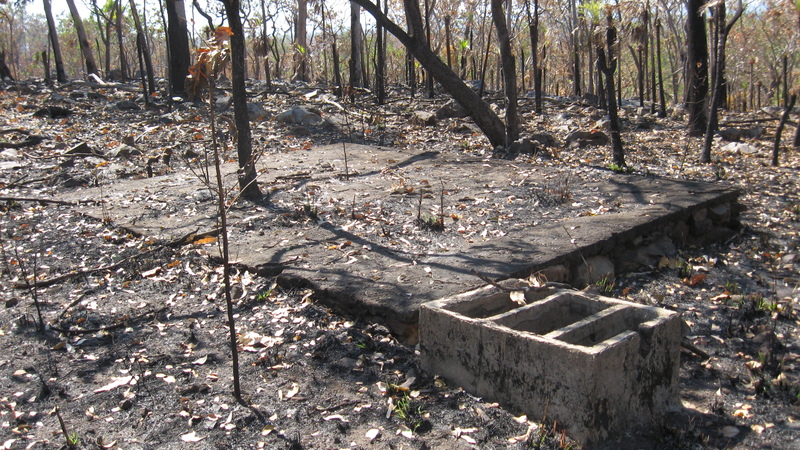 Corrugated iron litters the site and would have been used for the roofing of many of these huts. 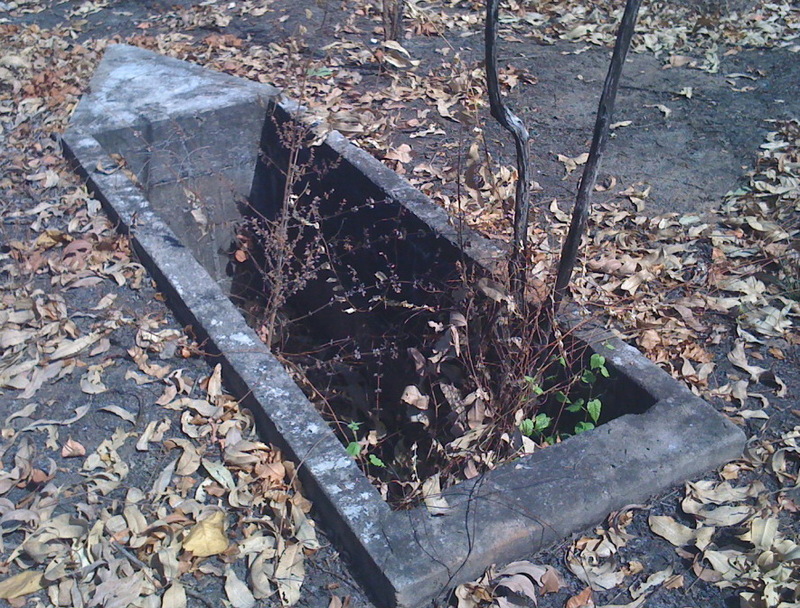 Walkways, ramps and entrances to the foundations still remain in situ and can be seen in the example above. 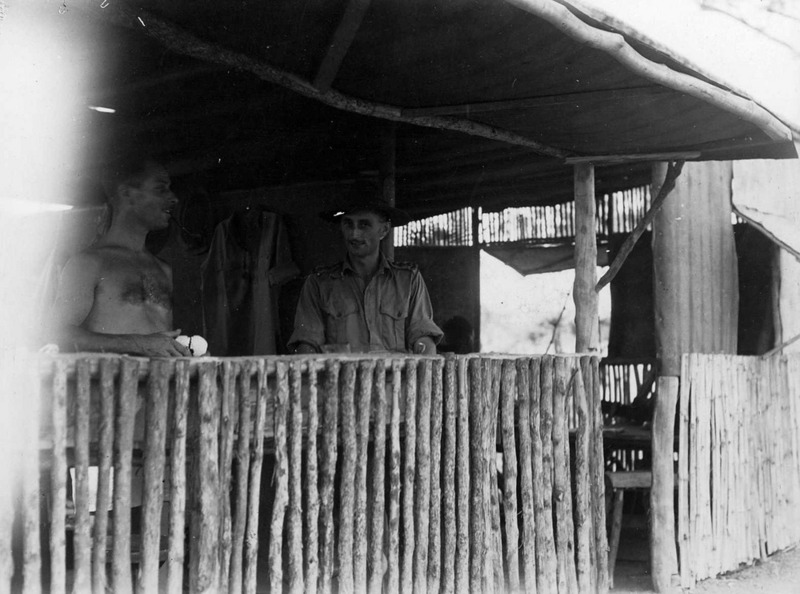 Dental clinic showing staff Sgt. I. Masser, of Sydney, and Captain Lin Bedkober, of Forbes, N.S.W. of the 2/12 Field Ambulance unit. This photo illustrates the building material and style of buildings located at 38 Mile. The very nature of a Field Ambulance unit necessitates the use of vehicles. The site thus contains vehicle servicing areas like the servicing pit above. 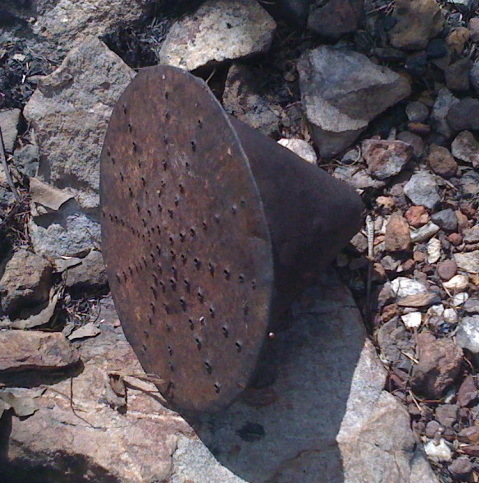 This is thought to have been used by AEME units stationed in the area. 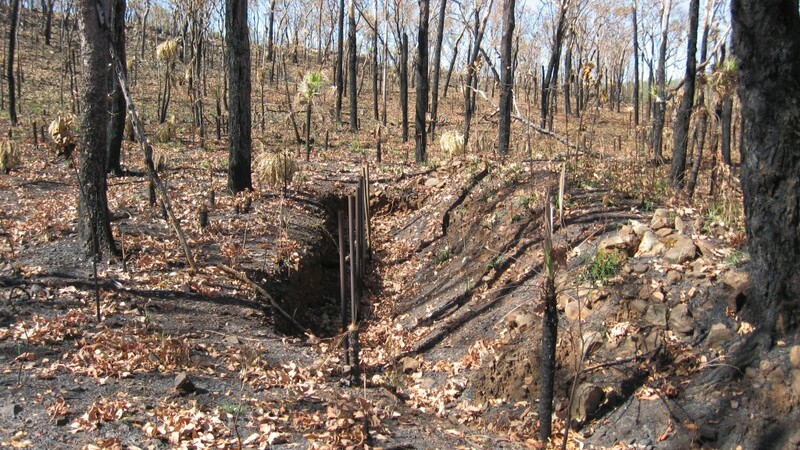 Located in the side of the hill at 38 Mile are the Rifle Range Butts. The posts that would have supported targets are still present in the trench. Having spent some time at the Butts myself, I can say without hesitation that troops posted to operate them would have found the task laborious. I am unsure as to whether troops of the 2/12 Field Ambulance would have trained on this range or whether other infantry units in the area would have used it. 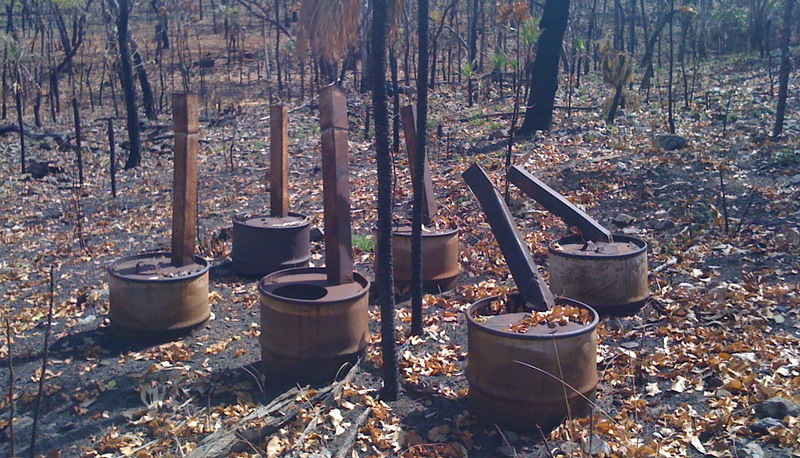 An improvised washing machine constructed out of 44 gallon drums. The drums would have contained a fuel source, most probably timber, and would have been fed into the front via a door with a hinge attached (as pictured). It would have had a chimney attached to let out the smoke. On the top area would have sat half a 44 gallon drum containing washing over the rectangular entrance. The heat would have heated the washing so cleaning could have been performed. Thick spear grass covers this site for most of the year. Toilets at this site can be found at the extremities of the camp site, like these found near the vehicle servicing pits. These ‘thunder boxes’, as they became known, are constructed using 44 gallon drums and would have had makeshift hessian walls around them with a roof of iron on top. 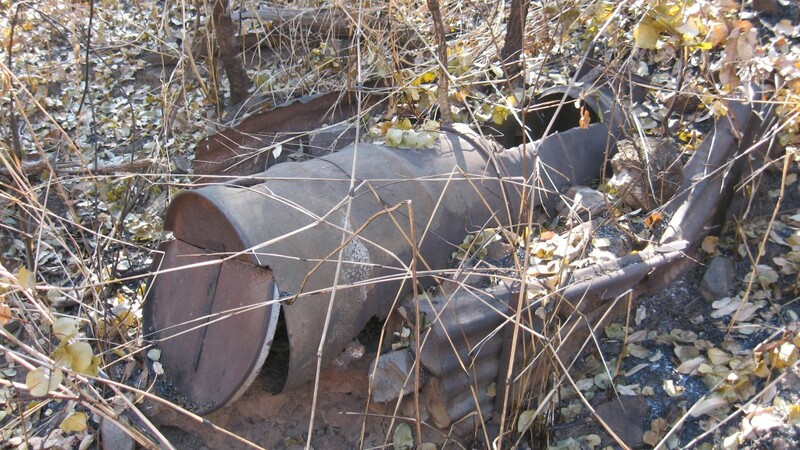 They became know as ‘thunder boxes’ due to the fact that the excrement was disposed of by pouring fuel into them and setting them alight. Sometimes too much fuel was added and well, you get the picture. Smoke and fire discipline must have been an issue and I am unsure when this process would have taken place, possibly early morning or dusk?